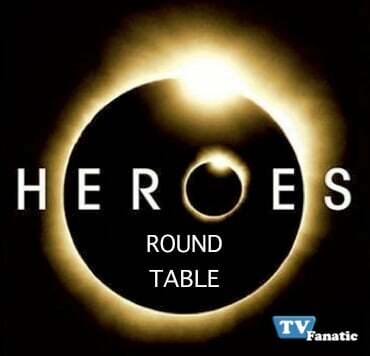 Welcome to the latest edition of the Heroes Round Table! While fans are buzzing about the latest episode in our forum, and responding to our weekly review, a trio of TV Fanatic staff members have gathered to analyze various developments from "Thanksgiving." Which Thanksgiving meal was the most awkward? M.L. House: Gotta go with the Bennets. Unless you're Bruce Willis and Demi Moore, the inclusion of new significant others with the rest of the family is always tough. Especially when your daughter stabs herself in the arm with a knife. Dr. Shepherd: The Petrellis. It's gonna be hard for me to complain about a series of young, screaming cousins this year after watching them deal with the near-death of Angela and an internal struggle between Nathan and Sylar. The Barnacle: Everything at the carnival strikes me as awkward. And boring. Do you miss seeing the Heroes in action? M.L. House: YES! I've often pushed for character development on this show, but must it come at the expense of so many individuals not using their powers?!? Think about it: Nathan, Peter, Sylar and Claire have been pretty much impotent all season. They never actually do anything with their abilities. Dr. Shepherd: Big time. 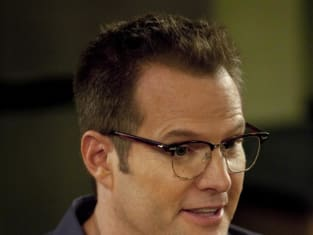 The main powers we've seen used this season involve Tracy (always a wasted, unnecessary character); Parkman (stuck in a confounding, wayward storyline); and Hiro (don't get e started on time traveling!). The Barnacle: I wouldn't, if they actually did anything from week to week. Take Claire, for example. She just goes around brooding about her abnormal life. Hello! You can't die!!! Why not actually use that ability to help people?!? Were you happy to see Gretchen return? M.L. House: Not really. She left because she feared for her life. So she returned and now is happily going along with Claire on a dangerous mission?!? I hate when Heroes just makes characters act in whatever ways fit the storylines. Dr. Shepherd: Only if it leads to another kiss. That was hot! The Barnacle: Yes, because it appears as though her and Claire will actually take action now (see my answer above). Are you excited about Hiro's storyline? M.L. House: I can't even talk about that without getting angry. I pumped my fist when he stood his ground against Samuel... only to throw my remote when he appeared to revert back to a child - again!!!! - at the conclusion of the episode. Dr. Shepherd: I won't judge this storyline until we see if come to fruition in the future. Safe to say, though, my reaction to Hiro's memory deletion was not position. The Barnacle: They need to kill off Hiro. Let him die saving Charlie or helping mankind in some way, but it's incredibly clear that Tim Kring stopped having a clue how to write for this character two years ago. I'm your savior, Hiro. You just don't know it yet. Permalink: I'm your savior, Hiro. You just don't know it yet. Naked lady, you are trying to seduce me. You should know my heart belongs to Charlie!